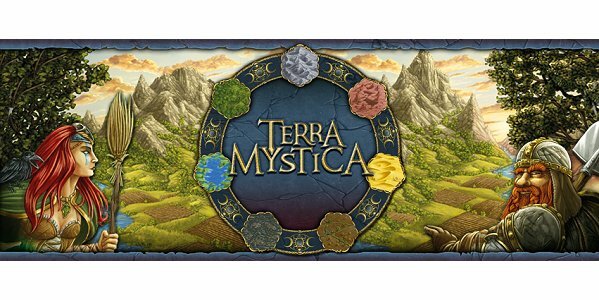 It enjoy playing the digital adaptations of board games and you enjoy heavy Euro style games, then I recommend you take a look at Terra Mystica from Digidiced. If you have played any of their games, then you will be familiar the general game layout. You can play Ranked, Casual, and Local games. The game has a very detailed tutorial that is broken into 5 sections and there is a link to the online manuals. The game also indicates an expansion, Fire & Ice will be coming soon. My initial reaction to the game is WOW. The graphics and background music are fantastic. The game play is smooth and I did not encounter any major glitches. You can play this on a small screen but it looks and feels better on a tablet. Now I am new to Terra Mystica, so when I got the app it was the first time playing the game. After going through the tutorial and doing some reading online, I think I got a good idea of the game. The developer themselves calls this a heavy game and I would agree with them. There is a lot going on within the game. “The game starts with each player picking one of fourteen fantasy races. Each race has unique special abilities and costs associated with actions. Each race is also limited to building on only one of seven different terrain types found on the game board, and one of the key aspects of the game is terraforming spaces so they can be built upon. Here is fun video on how the actual boardgame plays. You can download the game for both Android and Android and it should be coming to Steam too. As with many of the Euro style board games, you will not get all of the rules and keys to victory when you first sit down with it. This is a game to play and learn over time. In addition to investing some money, you will be investing some time into the game. Playing these style games in digital format is neat as it will do all of the math, provide hints, and you can play alone if needed. As I am new to this game, I look forward to learning the game better and hopefully winning a few games. A beautiful and somewhat heavy Euro style board game about resource management.